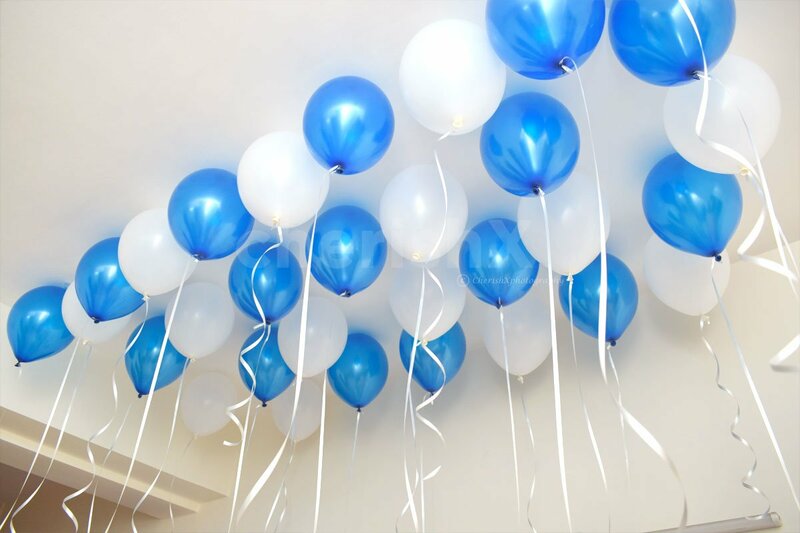 Classic blue and white - a love filled wish for a perfect birthday boy, using premium quality balloons! Here is something special for all birthday boys! 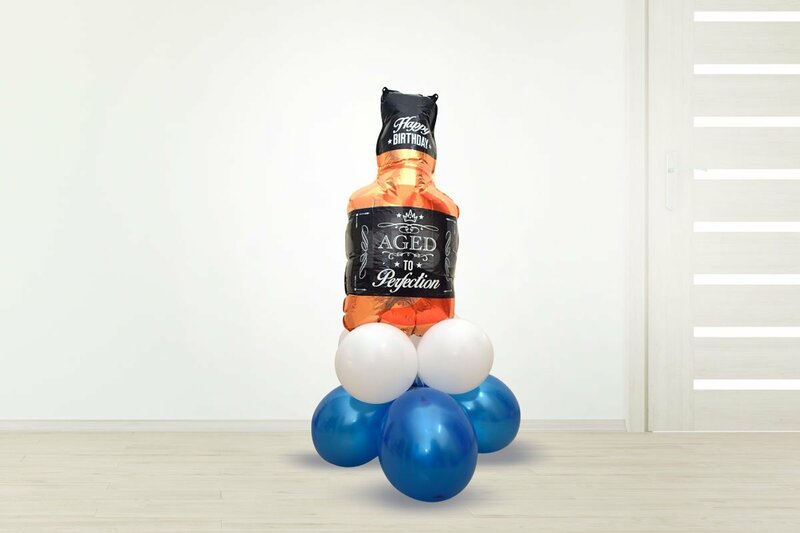 Is there a special man in your life whose birthday is coming up? It could be your dad, your best friend, your brother, your son, your boyfriend, or your husband- It's time to give them the surprise of a lifetime. 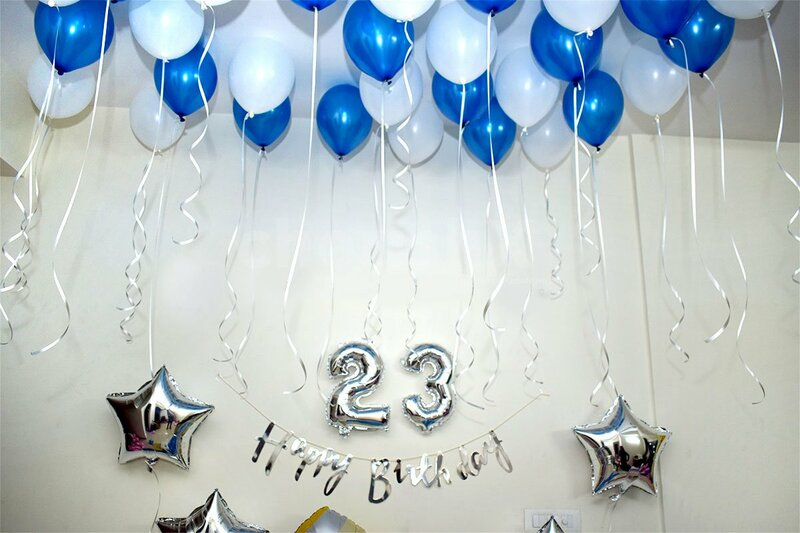 We have a blue-themed birthday decor of excellent quality, just for those amazing men out there that always make us happy! 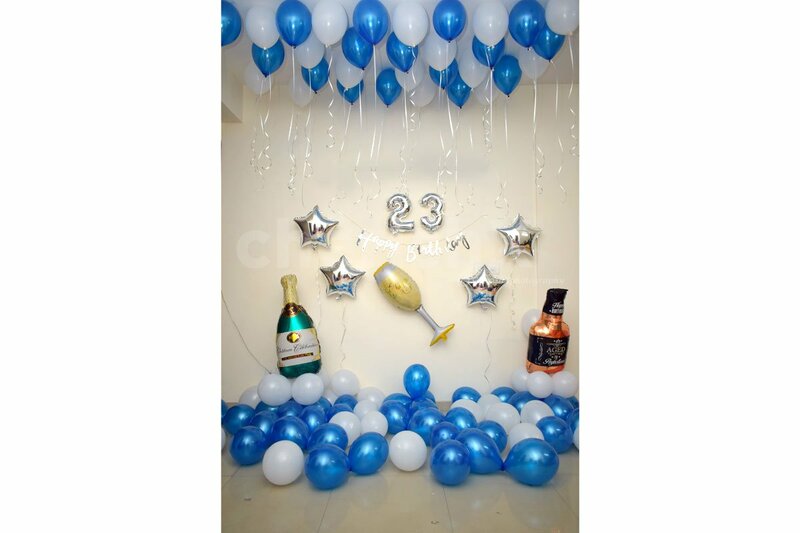 This premium decor package comprises of 20 blue and 20 white latex balloons stuck to the ceiling with soft removable tape, with pretty silver ribbons dangling from it, 20 blue and 20 white balloons strewn aesthetically on the floor, 1 foil balloon in the shape of a champagne bottle, 1 foil balloon in the shape of a bottle of whisky, 4 silver foil balloons in the shape of stars, 1 foil balloon that says 'cheers! 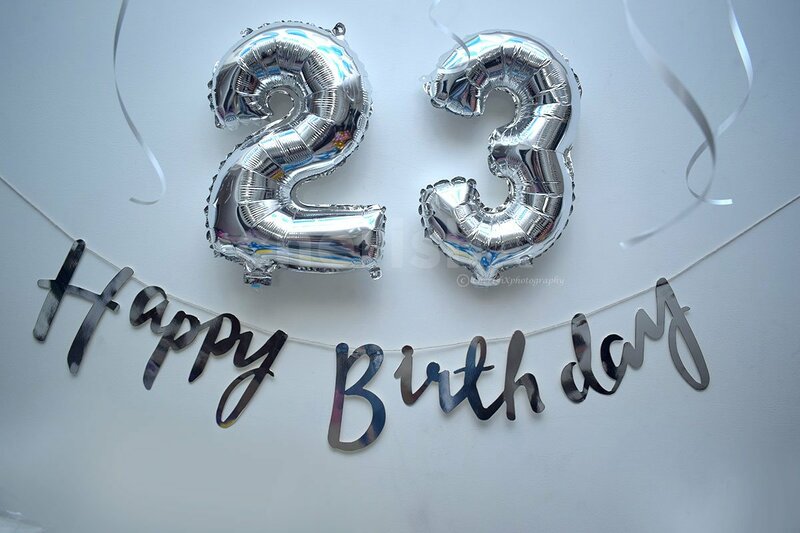 ', 2 digit foil balloons depicting the age of the person, and 1 happy birthday silver bunting. This decoration will be done at your home by our team or at any location of your choice. Sweep that special birthday boy off his feet and let him know he is loved! 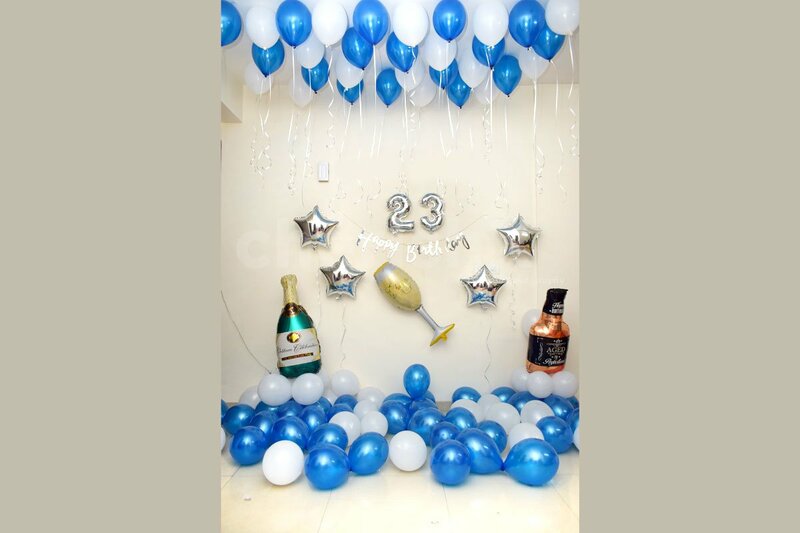 This grand decoration is bound to make anyone feel great on the occasion of their birthday. 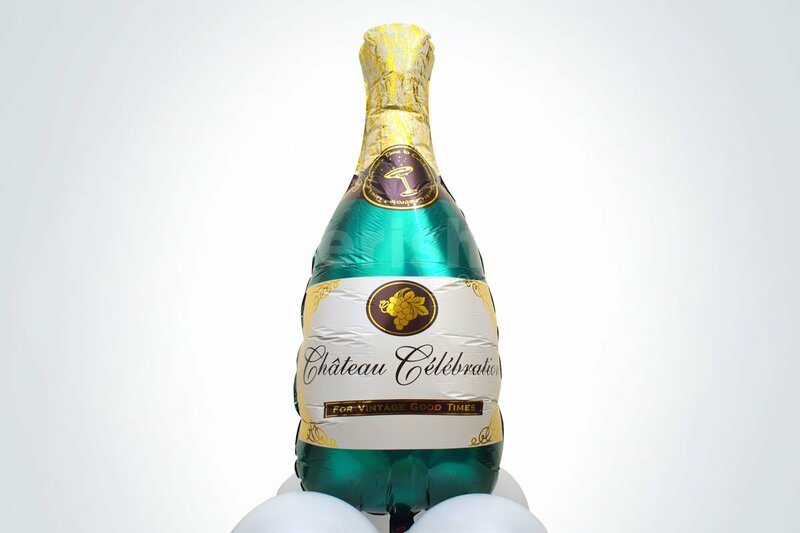 We always say- when there is a special occasion and you want to celebrate, the bigger you go, the better it gets! Make the event unforgettable and absolutely memorable with our thoughtful customizations. Sweeten the occasion with a delicious chocolate cake and impress the birthday boy with a beautiful bouquet of roses. 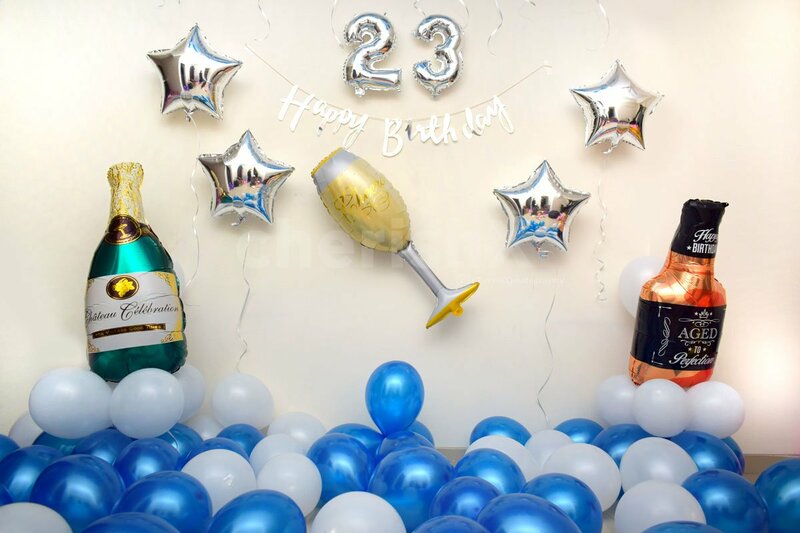 Make it special by adding strings of printed photos & his name with our letter foil balloons. Add a gorgeous number centrepiece if numbers impress him, a string of LED lights, and much, much, more! Just checkout our delightful add-ons below! 2 foil balloons in the shape of digits, depicting the age of the person.